What do programmers do to keep their game programming chops up to snuff? They get together with friends and see who can write a complete game (including making the sound and art) over a weekend in the Ludumdare 48! The game I made is sort of Bomber man but instead of bombing, you dodge and disarm bombs while saving these rather nasty looking girls. Only download this if you’re comfortable with using files from a .zip and won’t get angry at an occasional expletive. You can see my development log here. 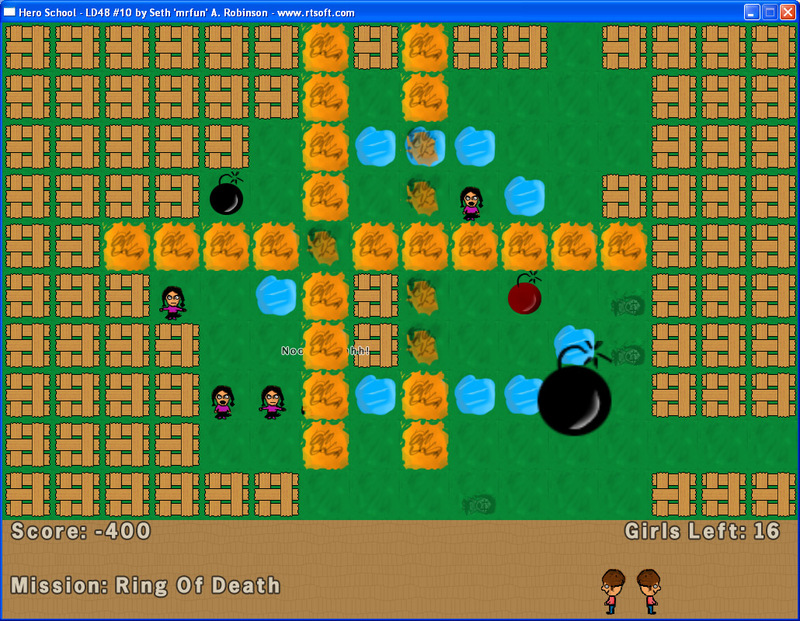 This entry was posted in Development/RTsoft and tagged C++, Clanlib, Ludumdare on January 2, 2008 by Seth.